About 1966 or so, a NASA team doing work for the Apollo moon mission took the astronauts near Tuba City where the terrain of the Navajo Reservation looks very much like the Lunar surface. Along with all the trucks and large vehicles, there were two large figures dressed in full Lunar spacesuits. Nearby a Navajo sheep herder and his son were watching the strange creatures walk about, occasionally being tended by personnel. The two Navajo people were noticed and approached by the NASA personnel. Since the man did not know English, his son asked for him what the strange creatures were and the NASA people told them that they are just men that are getting ready to go to the moon. The man became very excited and asked if he could send a message to the moon with the astronauts. The NASA personnel thought this was a great idea so they rustled up a tape recorder. After the man gave them his message, they asked his son to translate. His son would not. Later, they tried a few more people on the reservation to translate and every person they asked would chuckle and then refuse to translate. Finally, with cash in hand, someone translated the message, "Watch out for these guys, they come to take your land." Private charity raised 1B thus far to help the survivors of Katrina. Insurance companies are slated to take a 60B+ hit. The federal government has pledged more than either of these two sources. Remember these numbers the next time you have an argument with a libertarian that believes private charity can shoulder the whole load. Despite saying that, I am awed by the use of the web as means of collecting and distributing charitable capital. Awed, and humbled, by all the people in the world willing to put out a helping hand in times of crisis, now that the web has given them the mechanism. However, said libertarian might counter that that aid was freely given - b ut Bush will generate the aid promised the old fashioned way - by printing money. Frankly Bush has sounded more and more like FDR every passing day - I sure hope he doesn't run for a 3rd term, though. By all the thousands of accounts available on the web, Texans are evacuating appropriately. The enormous burst of hot air from the nation’s media broadcasting from Houston probably caused Hurricane Rita to detour northeast by at least 75 miles! The Texans did flee with their SUVs, causing spot shortages of gasoline. I’ve long hated the gas guzzler tax exemption for light trucks (SUVs). My family drove 45mpg diesels through the various gas crises and I really do hope that America returns to conservation (and more telecommuting, and more hybrid cars) in the coming years. We are part of this problem, people! My family all drives SUVs now. I'm the sole holdout. Admittedly they live in places where a house payment and an SUV payment are roughly the same. I hope one of the ways we cover the costs of all this damage is to eliminate the gas guzzler loophole – sorry, family - and hey, perhaps it would make sense to allocate part of the gas taxes to disaster relief in advance. Update: Dad tells me he has been thinking about a hybrid. OK, that's one. How about we re-outfit all those civilian hummers and ship them to Iraq where they can do some good? But in the meantime, I admire those that have SUVs for one thing – when you really need to, you can get out of town with more than a backpack’s worth of possessions. But this keeps nagging at me: how many fled these hurricanes with empty seats? It is impossible to tell given the window tinting on the available photographs. I despise any driver with empty seats for helping clog the roads for two days. An American populist theme for future evacuations – “Clear the road AND save a friend” or “Save on everyone’s gas – evacuate with a fellow human being – remember: YOU could be hitchhiking out of the next hurricane”. "Before fleeing, check your local website for someone who doesn't have a ride". "If you have a spare seat, please stop at the superdome on your way out of town". If more Americans were charitable as to who sat in the passenger seat it would help erase the specter of 250 flooded buses from my mind. Also, I doubt it would hurt much, in an emergency, for a local government to put out a call for able bodied citizens: "Bus drivers wanted. No experience necessary". Or - gasp - the government could train a few extra bus drivers in advance. Even 15 minutes in advance might suffice: "This's the clutch, there's the accelerator, don't make tight turns, now go!". At least - leave the keys in the ignition next time. 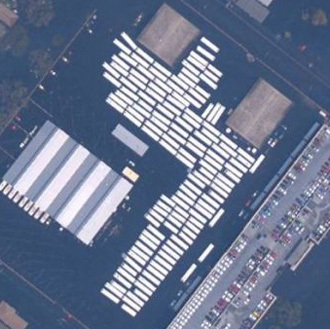 I am really impressed by the use of satellite photography to predict the course of the hurricanes. My gut feel is that the weather satellite system – indeed the whole space program – was long ago paid for in spades by reducing the loss of life and property damage caused by major storms. Has anyone done a study as to what a Rita or a Katrina would have done to the Gulf Coast – at today’s population levels – in the early 1960s – before we could track these massive storms accurately? Meanwhile, newly merged Intelsat and PanAmSat and struggle with enormous amounts of debt and possible bankruptcy. Speaking of bankruptcy, if you’re going to do it, you better do it before Oct 17th. The new law falls short of establishing debtors prisons, but comes close. 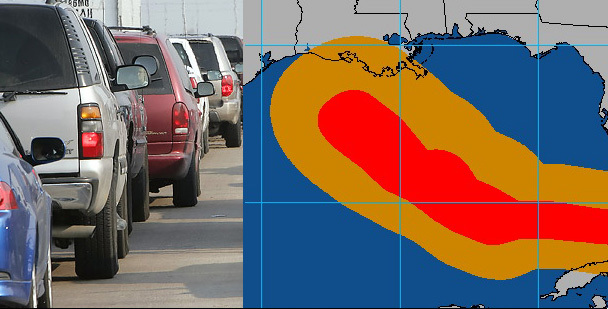 Another solution for all those displaced by Katrina: Give each an SUV. Most are big enough for a family of four to live in, and mobile besides. Also, that way the Katrina survivors are indistinguishable from the Rita evacuees, and can slip into safer towns unannounced, in caravan. What use is an SUV in a future era of 7 dollar a gallon gas prices? Instead of leaving them parked, unsold, on dealer’s parking lots, turn them into semi-mobile living space! wow, 3 quakes just went by... I wonder where they were from? update: they were 9 miles north of boulder creek (about 14 miles from here). Biggest shakers I've felt in months. I'm wide awake now.